Fatigue and tiredness are often associated with overworked adrenal glands, and can occur when you’ve experienced too much stress for too long. Adaptogens are a class of herbs that help your body to adapt to the effects of stress, supporting your adrenal glands and assisting with fatigue. 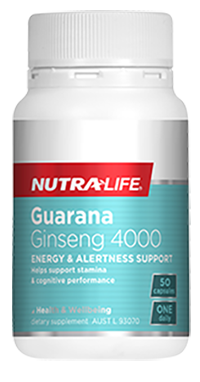 Energy and alertness support combining Korean and Siberian ginsengs plus Guarana. This one-a-day formula helps support stamina, may help you overcome feelings of tiredness and supports alertness. 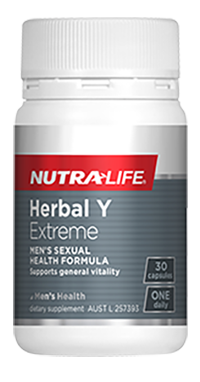 One-a-day men's sexual health formula to support testosterone levels, healthy sperm and general vitality. Specially formulated with Horny goat weed, Siberian ginseng, Tribulus and Muira puama, this product also supports the body's resistance to stress. 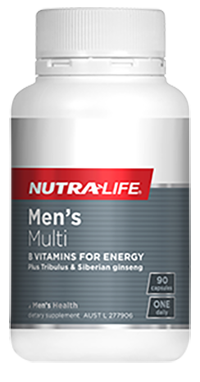 Specially formulated for men with 19 daily nutrients including B Vitamins, Tribulus and Siberian ginseng. 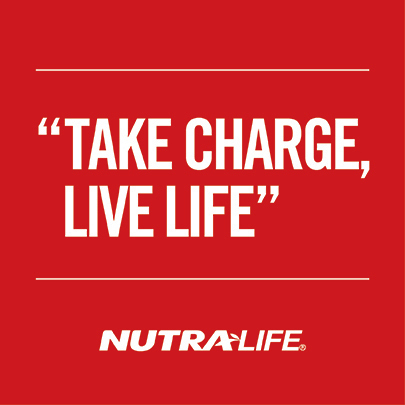 Nutra-Life Men's Multi supports male reproductive health, as well as energy production and performance. Energy and stress support formula with activated Vitamin B6, Folic acid, Vitamin B12 and Choline. This one-a-day formula assists energy production and supports the body during times of stress. Specially formulated for women with over 20 daily nutrients including B Vitamins, Chromium, Horsetail and Grape seed. Nutra-Life Women's Multi supports healthy hair, skin and nails, as well as energy production.